Hello, my name is Bridgette Anderson and I am the Director of Therapy at a Sensory Integration Center in San Diego. This is my second blog for Achievement Products, for which I am being compensated. My first blog focused on ways to help children who can’t stop moving. I provided some suggestions to help them sit still to increase focus in the classroom. That post is still available below (October 11). This post will discuss the different types of pressure and weighted products that parents can try in order to support their children in school and other daily environments. Deep pressure wraps, also referred to as pressure vests (generally made of a “wet suit” type of material) or Sensory Pressure Vest (842AP100) in the Achievement Products catalog, will frequently help children who seem to feel as if they are falling when they are sitting still. The wraps also provide an overall sense of calming to the nervous system (a big and continuous hug), and provide the children with information about where their bodies are in space. This is something that a child will generally wear either above or below his clothing, and it is generally recommended that he put it on and take it off frequently throughout the day (about 20 minutes on 20 minutes off). It should be tight, but not so tight that it impedes a child’s breathing. The wrap can be worn during sitting or moving activities (although the effects of it are more apparent during sitting or balancing activities). It really doesn’t matter if it is a vest (like the SI Weighted Vest 842AP119), belt (like the Sensory Pressure Belt 842AP5779) or wrap; choose whichever is preferable for your particular situation and suits the child most comfortably. These can be worn above or below clothing. Similar to pressure vests, and more popular, are weighted vests, such as Achievement Products OTvest™ (842AP5760), SI Weighted Vest™ (842AP119) or the Achievement Weighted Vest(842AP97). Weighted vests are similar, but instead of providing a “deep hug”, they provide proprioceptive input (which provides information about one’s joints and muscles in space, as well as a release of neurotransmitters which have an organizing influence on the brain). I have found children will sometimes fatigue when carrying the weight of a weighted vest, particularly with children who are weak or have low muscle tone. Some children tire when they have vests on, which has caused some behaviors. Then again, some children have responded really well to the weighted vest and the proprioceptive input it provides every time the child moves. When using the weighted vest, the rule of thumb about choosing the appropriate weight is to have approximately one pound per year of the child’s age. (e.g. a 3-year old will have a total of 3 pounds). However, if your child seems to be fatiguing, try to lessen the weight (or you might try to increase the weight in small increments for a really active, strong child). Also, parents have found it beneficial to be able to move the weight around, depending on the time of day and the activity the child is doing. I really like to use weighted objects, particularly in classrooms. They are subtle objects that can be passed around to multiple children and everyone can benefit. They can be brought to school and thought of as “just another toy”. Weighted objects provide proprioceptive input to the child and allow her to choose her preference for where the weighted object feels best (e.g. lap, shoulders, hands, feet, etc). You can find a variety of weighted shapes that a child will enjoy using at Achievement Products (www.achievement-products.com). Some favorites are shaped as animal friends, such as Marvin Moose(842AP3860),Weighted Gecko (842AP578), or weighted critters (842AP3853, 842AP3854, 842AP3855, 842AP3856). They can become a classroom mascot or an individual child’s friend. A dynamic teacher interested in using weighted objects in a variety of ways may like Snap Bags (842AP90029) which are weighted beanbags which snap together. They are great and able to be used in so many ways and for a variety of fun activities. For the child who needs something less distracting and more practical, the Achievement Weighted Pocket Pad (842APA102) and the Achievement Weighted Collar (842AP99) are simple, discreet and mature. The Weighted Body Blanket (842AP3857) or Weighted Shawl (842AP5778) can be folded up and used as a pad, covering the child for a whole body experience. These items can possibly be shared among friends in the right environment. A child can wrap any of these items around his shoulders, place them on his lap, toes, or hands, or use them as fidgits. Some really creative teachers have played various “pass the animal” or “holder of the animal gets to speak”, and “beanbag” games which provide organization for all children prior to a more difficult or sedentary task. Others allow each individual child to have objects that meet his or her physical or emotional needs. Whatever way they are used, these weighted objects tend to be loved by all. No matter what items you choose, it is important to set rules for the children to understand their limits and your requirements when using any tools in a classroom. It is also essential that the child’s team has agreed on a designated amount of time to have the item in use before determining whether the tool is working or not (novelty might impede success, so you want to be sure to give whatever you try a few days at minimum). Work with your teacher ahead of time to determine if any behavioral strategies should be paired with this sensory tool. A visual timer or schedule may be used to let the child know how long to wear the weighted item, or a written or picture set of rules can instruct the child about how to treat items in a classroom. You may decide to give the tool as gift to the teacher or classroom. If so, before you make the gift, try the tool to be sure it works for your child. It is important to understand how different environments may affect your child’s use of that tool. Always work as a team with your school to facilitate your child’s success. My name is Scott Russo. Working as an OT in the school arena for the last 11 years, I thought I had encountered every challenge that faced the itinerant therapist. However, in today’s economic climate, the job of delivering effective therapeutic treatment to students as an itinerant school therapist has developed new challenges. In the past the main therapeutic delivery challenges facing the itinerant therapist have centered around 1) Lack of space on the school site 2) Difficulty with access to the student during the academic day and 3) Lack of access to the teachers and support staff for carry through on goals. Today we can add to that list decreased budgets limiting the amount of therapeutic tools that can be utilized. How do we provide effective service with these challenges? I’d like to explore two possible solutions. Different models of service in the schools such as push-in therapy (therapy delivery in the classroom during normal activity) or in-class consultative models (working directly with support staff for classroom modifications or accommodations) prove to be effective methods to combat the space issue, the difficulty with student access, and the lack of access to the classroom staff. These methods also allow the therapist the opportunity to observe and treat students during their normal functional activities. Because it is not always possible to change the delivery model, the most essential therapeutic tool an itinerant therapist can possess is creativity. The question then becomes, “What is in your bag?” This was one of the first questions asked of me when I assumed the role of professional consultant (for which I am compensated) with Achievement Products. With those criteria in mind, here are two new products to “fill your bag”. With the Progression Therapy Fine Motor Set (AP79602) and the Progression Therapy Visual Motor Set (AP79601), the therapist will have a box full of creativity. Each box contains enough activities to fill a 30-minute therapy session complete with guides on activity ideas. The sets were developed to provide maximum flexibility in therapy delivery at an affordable price. Both sets contain come in sturdy storage boxes, which serve the portability need of the itinerant therapist, and contain books with reproducible activities providing multiple use options. My name is Cumba Siegler, and I work as an Occupational Therapist (OT) for the Santa Cruz City Schools in California. I’ve been invited by Achievement Products to contribute posts to this blog from time to time, for which I’m being compensated. I’m happy to do it because I see value in reaching out to my fellow OTs, teachers and parents. What draws us to this profession? Why do we work with children? Why work in the schools? Aren’t I done with the smell of peanut butter and wet mittens and white paste? Because we love children, and we want to help them become the people they might become. Because our hearts leap when a child learns how to tie his shoes or cut out a circle, or print her letters on the line, and children want to show everyone what they have accomplished. We’re accomplishment junkies! We thrill to the cry, “I did it! Look me! Look me!” We don’t mind that children have learning disabilities, or autism, or motor difficulties; we want to dig in and help them master whatever is in their way. If we get paint, glue, yogurt, boogers or glitter on our clothes, well, it’s part of the job! And, we get to play with toys! 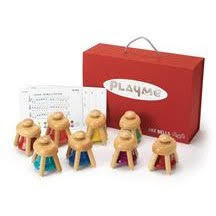 We get to shop for toys, and figure out how children might use them to increase their skills, whether fine or gross motor, social or cognitive skills. We play with blocks , dough, beads, puzzles, tweezers, soft cuddle balls, vibrating animal shaped massagers, trampolines, crawling tunnels, craft items, and anything else we can buy for under a dollar. We will stay up late figuring out how to make some piece of cardboard into a template so a child can learn to trace their name onto a box and keep fidgets inside their desk. We save straws to have children cut up and make into beads. We buy battery operated drills to put together vehicles and try our best not to help the children do it, so they can learn to do it themselves. We sit on our hands so we won’t help. It looks like we’re not doing anything, but we’re carefully watching how the child approaches the task, and how he seems to feel about it. We look at his facial expressions and body language: are they scrunched up? Relaxed? Vibrating with anxiety, or joy, or ambivalence because he has to go to the bathroom but doesn’t want to leave the project, even for a minute? We know how to assemble that truck or do that crayon rubbing, but we have to wait and let the children figure things out for themselves. We can tell them, it’s ok to ask me for help, or model it for them; “Can you help me, please?” The best part is when children figure out how to do something, and they let out a happy sigh. It’s magic! Quiz: Are you a school-based OT? *Does your heart leap when you see a yard-sale sign? *Do you ask children where they got that cool toy, then rush out to get it? *Do you talk shop constantly with other therapists? *Do you have 10 or more toy catalogs you pore over with longing? *Do you own more toys than your local toy store? And so begins more exploration, playfulness and growth; a labor of love. I'm ready. Hello, my name is Bridgette Anderson. I am director of therapy at Developmental Therapy Center, a sensory integration clinic in San Diego. I have been working with children with special needs in school and clinic settings for over 12 years. Helping parents figure out how to help their child is one of my passions. I was excited when Achievement Products for Special Needs asked me to write posts for the Achievement Products for Special Needs blog to help parents find ways to help their children and to share my ideas with other professionals as well. Although I am compensated by Achievement Products for Special Needs for my posts, the thoughts and opinions are entirely mine. There are a number of suggestions that can help support a child through a school day. It is important to work with the teacher to be sure they understand how you are trying to help. I have found that most teachers are more than willing to add supports into a class to help children. In fact, frequently they are able to have others benefit from the supports as well. Without knowing an individual child, I can never make specific suggestions, but here ar e some simple ideas that it won’t hurt to try and that I’ve found have a pretty good success rate. 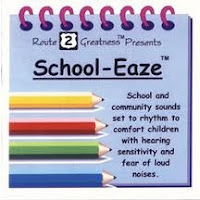 All of the sensory tools I refer to can be found through Achievement Products for Special Needs. Remember, these are supports to help a child get through the day. If things get more and more difficult, I suggest you seek out more professional help specifically for your child. One tool for children who just can’t stop moving is to have them sit on something that allows the body to move and but does not disrupt the class (for many children this moving allows the brain to focus on what is being said). Here’s a simple way to test this idea: put a puff of air in a beach ball and have the child sit on it to see if it helps him pay attention better while sitting. If there is some success, but the ball is too mobile and tends to disrupt the class, then a “sit disk”, “posture wedge” or air cushion will provide the child with the ability to move his body enough to concentrate without disrupting others. A different type of seating that is more effective for some children is a therapy ball (a large-diameter ball) which bends with the movement of your body --like a large yoga ball. In order to normalize this solution more for the classroom environment, provide the classroom with a therapy ball chair. The chair eliminates the possibility of too much rolling of the ball or of the child falling off the ball, and it provides some back support. Another tip for helping a child who can’t sit still in class is to allow the child to use a “fidgit” like Finger Fidgets - Set of 10, basically a toy they can hold in their hand(s). As with all supports, it is important to set classroom rules for when and how the child may use a fidgit. It’s amazing how much it can support a child and allow her brain to focus on the academics while the fidgit is giving her body the information it needs. Fidgits can also be passed around the classroom or shared. When selecting a fidgit, think about these questions: (1) what activities will allow my child to get in some movement (even if just with his hands); (2) can this movement be achieved without disrupting the class or creating too much of a distraction; (3) what type of textures and movements will work best for my child? For example, if squeezing and tactile stimulation is an activity that seems to promote calming for your child, you may prefer balls such as the Magic Gertie Balls - Set of 2 or Sea Creature Anemones. Other children will prefer a movement of the fingers or hands. This can be accomplished with an Super Mondo Inside Out Ball. Still, other children will prefer a touch or rubbing movement, with supports such as the Small Tactile Pillow or a Vinyl Porcupine Ball. Finally, there are the children who need objects that cannot be tossed, shared, or noticed. For these children I recommend various items which can be attached to a pencil or pen. Pencil grips--used to support the child with handwriting--can be placed towards the top of the pencil, and pencil weights can be moved up and down a pencil. Both provide the child with an opportunity to fidget in a much more inconspicuous manner. Hopefully one or many of these suggestions are helpful for you, or you might find other items or ideas in the Achievement Products for Special Needs website or catalog. Work with the teacher as a team to support your child through a successful transition to the school environment, and to provide an increased ability for your child to concentrate on learning rather than on the effort to keep his body still. Remember movement is a child’s friend, so always provide lots of opportunities before and after school for children to get motor activity. This will help support their ability to focus in class as well as their general good health. Hi, I’m Scott Russo. I work as an Occupational Therapist in the Pajaro Valley Unified School District in California. I also work as a professional consultant for Achievement Products. As an Occupational Therapist who has worked in the pediatric arena for 10 years, I have a love affair with toys. It is this love affair that led me to Achievement Products, the “one stop shop” for all of my personal and professional toy needs. It is often said that the work of a child is play. Play is the medium through which children learn almost all of their developmental skills. Therefore, professionals who work in the field of pediatric development view toys as the most important “Tools of the Trade”. A pediatric specialist without a good stable of toys would be akin to a carpenter without a tool box. Skill development at any age is reliant upon motivation. As adults, we are constantly developing new skills on a daily basis. Adult motivation comes from many sources, such as the need for income and the desire to care for family. For children, the primary motivational force is fun. Toys provide a medium for fun and creativity while also providing children with the necessary tools they need to develop skills that will be used later in life. In a July 14 article in The Dallas Morning News , writer Sean Meehanin describes a program in Plano, Texas, where Legos ® are being used to develop social skills in children with autism. This is a perfect example of using a popular toy in therapeutic intervention. One of the primary challenges facing a child with autism is the development of appropriate social skills. At the same time, one of the particular strengths of children with autism is the ability to construct. Through the use of construction toys and group therapy, this program is using a motivational tool for an autistic child while assisting that child in the development of skills in a challenging area. Construction toys available at Achievement Products.com such as Magic Magnetic Shapes, Gears, Gears, Gears, and Weighted Bumpity Blocks allow therapists and other professionals in t he pediatric arena to work on skills in several areas, including, but not limited to, gross and fine motor skills, cognitive development, and social skills. With tools such as these that provide inherent motivation, pediatric professionals are afforded the opportunity to be highly creative in their teaching methods or therapeutic approaches. Are there toys in your “tool box” you won’t go to work without? Please write back and let us know what they are. My name is Scott Russo. I am an Occupational Therapist currently working for the Pajaro Valley Unified School District. I also maintain a Physical Therapist Assistant License, and I work for Achievement Products for Special Needs as a consultant for its special needs catalog. I have been working in the therapy field for over 20 years and have spent the last 12 years specializing in the realm of school based special needs. Over these years I have had the opportunity to work with children from the ages of birth to 22, and with a wide variety of disabilities and severities, ranging from the very severely impaired child to children who are fully included in regular education with minimal disability. As a school based Occupational Therapist, my job is to assess a child's functioning in the specific school setting. This includes looking at all aspects of the child's school day both in and out of the classroom. This allows for a great deal of creativity in the use of toys and academic materials to assist the child in attaining skills in a fun and motivating fashion. As part of my job, I am constantly evaluating play materials and also everyday materials for their use in therapy sessions. Most often, toys are my therapy tools and therapeutic use can often look different than the intended use for the toy. For example one of my favorite therapy devices is dough. 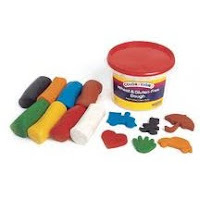 Dough can be used for hand strengthening, visual motor skills, and sensory processing skills. Dough can be used to assist in developing gross motor skills in the arms and shoulders as well as developing precision finger skills. I have also found dough to be one of the best ways to assist a child with writing and cutting because the motivation to perform these activities with dough is so much greater than with paper and pencil. Beautiful in its simplicity, dough can be a full therapy session. Exploring the endless possibilities of simple play items such as dough is the core of my everyday employment duties. 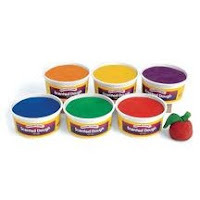 Editors Note: Achievement Products for Special Needs offers both a gluten-free dough for children who are wheat and gluten sensitive, and a scented dough for added sensory input. Find them both on the Achievement Products for Special Needs website: Gluten-Free Dough APDDO; Scented Dough APDSENDO. I spent last week at the Counsel for Exceptional Children National Conference and Expo, where we exhibited our Achievement Products line to the educators, students and parents who strive to ensure children with special needs, and/or special gifts and talents, receive the appropriate educational services they require. The Expo floor is filled with products and resources to support their efforts, but the days are also filled with opportunities for learning through the wide ranging sessions offered. I attended a number of those sessions myself and, as always, came away with far more knowledge than I had going in. But at last week’s conference I learned about a study that showed musical instruments to be even more effective at engaging children with autism. Alexandra Raber, out of Birmingham-Southern College, presented her study of 22 children with autism, and the effect that 5 music activities: songs with and without movement; action poems; songs with full body movement, and instrument playing, had on their lesson engagement as measured by their oral response, physical response, attention & eye contact. Of the 5 activities, only one resulted in full participation by all 22 students, and that was instrument playing. 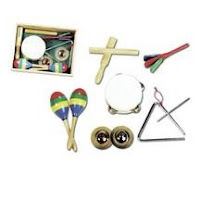 As a buyer for the Achievement Products line I have noted that musical instruments are an important part of the line (Bead Drum, Rainbow Tube, Band in a Box, Concertina, Pat Bells, Music and Movement Set). Perhaps individual therapists, teachers and parents noted what Ms. Raber was able to quantify; that playing an instrument resulted in greater engagement by a child with autism. Do you have a story to share about the effect music, or musical instruments, has had on your student or child? Good early childhood caregivers and teachers work hard to provide activities and teaching strategies that are developmentally appropriate for the age of the child. Part of developmentally appropriate practice is encouraging a child to think of new things. Providing open-ended activities is one way to insure that a child has an opportunity to stretch his thinking and create solutions that may not be expected or typical. Encouraging creative thinking in a child is something that will eventually affect all aspects of his life. 1. Meet each child at his or her own level of development. 2. Tailor the environment to each child’s strengths and weaknesses to build greater competency. 3. Interact with the child in ways that help him or her to think and solve problems. 4. Make sure the child is gradually using most (or all) of his or her senses. 5. Increase challenges in manageable, easy steps so the child is successful at least 70% - 75% of the time. 6. Adjust the allotted time for learning, task completion, etc. The list above could certainly be used with typically developing children, as well. However, when dealing with the added burden of a child’s special circumstances, it is easier to forget ways that will help the child learn creative thinking. Creative thinking should not be exclusive to high-achieving children or a child that displays certain talents. Prior to the 1970s, creative research concentrated on tracking children that displayed a certain talent at an early age. Realizing the potential in all children, researchers of creativity since the mid-1970s have concentrated on how to bring creativity out in all children. Special needs children are not an exception to this rule. In fact, teaching creative thinking can often quicken the learning of basic skills. Young children are naturally creative. It is up to the parent, caregiver and teacher to help each child learn to think beyond boundaries for something original and valued.